In late seventeenth century London two women, one white, one black, stake everything to prevent a manipulative mogul destroying them. Zenobia, born in poverty, grasps that her only hope of controlling her own life is to capitalise on her looks; Lily, brought to London on a sugar and slave ship as a ‘toy’, educated alongside her mistress but used by her master, lives as a kept woman. As their story weaves and folds through a murky and merciless London, both find themselves pitted against a ruthless man the world knows as John Crace. London's rich but festering possibilities as a rapidly-changing multinational city are breathtakingly painted, and pungent milieux ranging from plague pits to prisons to pastry kitchens – and Pickled Herring Stairs - are vividly brought to life. Philippa Stockley read English at Oxford and art-historical clothing history at the Courtauld Institute of Art, London. She produced her first illustrated novel at six and her first stage design at ten. She is the author of The Edge of Pleasure (Little, Brown, Harcourt Brace) and of A Factory of Cunning, an epistolary sequel to Les Liaisons Dangereuses (Little, Brown; Harcourt Brace). A professional painter and designer as well as a novelist, freelance editor and journalist, Philippa Stockley lives in Whitechapel, London. "Anyone interested in women’s history – especially the fate of black women in the Jacobean era – should read this enthralling story which does not rely on a traditional moral core, but offers black humour, vivid episodes and strong characters of both sexes and must have taken years to research in such superb detail. If you want a story to warm cold winter nights, look no further – and hope Stockley does not leave it another 12 years before her next book!" "Stockley vividly conveys the filth and frivolity of the city and is particularly good on food and fashion. But we're not spared the gruesome underbelly of the city. 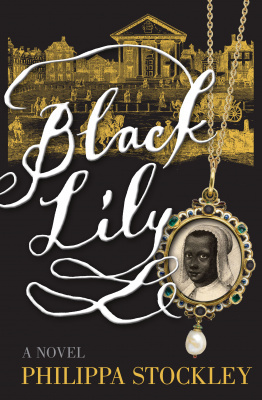 Black Lily would clearly make a terrific TV series. Stockley's deftly plotted novel has a sting in the tale too. You have to go back to the first chapter to see how beautifully she's set the whole thing up." "As rich and dark as the deadly sweetmeats prepared at the story's end....Philippa Stockley has poured her artistry and knowledge into her latest novel....A deliciously satisfying read, and, like the sweetmeats, one to be gobbled up greedily." "A fascinating and debauched romp, moving with dream-like speed through an incredibly vivid seventeenth-century London. Surely the best-written bodice ripper ever published." "An engrossing, many-layered, richly woven tale of intrigue and skulduggery."